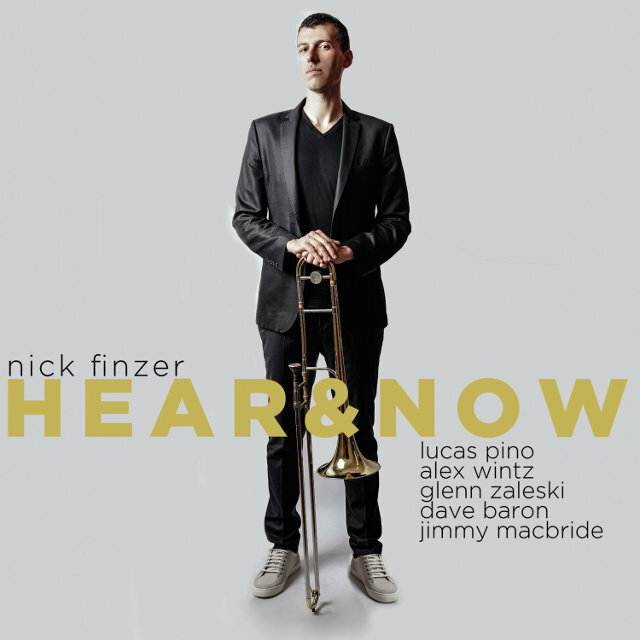 Hear & Now is the new album by the virtuous trombonist and brilliant composer Nick Finzer. This is one of those albums where all the tracks are absolutely marvelous, well thought out and played. His spirit for music is evident in every composition that contributes to his great evolution as a composer and musician. Nick Finzer brings us his third album where melancholic and deep sounds fill us with joy and fascination for an infinite landscape of new sonorities. Out of the nine tracks, eight of them are original compositions. “Single Petal of a Rose”, by Duke Ellington, completes this first-rate musical work. Although this album tends to be smooth and sentimental jazz, the first song is a jazzy, fast and tremendous track where trombone and sax introduce powerful melodic lines; full of long notes at the beginning, and then a few seconds later they become shorter to play with the interpretation of the drummer. The listener has the perfect scenario to receive the clean and vibrant improvisation of Mr. Finzer. The game begins and every player (trombone, piano, and guitar) shows their cards. The band that accompanies Finzer in this album demonstrates, his commitment to good music and, above all, his love for interpretation. The sincere communication they have when playing is evident; their phrasing is synchronized and transmits the deep sound that any musician is looking for in a recording session. With Nick Finzer, Lucas Pino plays the other two brass instruments we hear in Hear & Now: tenor sax & bass clarinet. Genn Zaleski is responsible for the piano, Alex Wintz contributes with the guitar sounds, Dave Baron is the bass player in this project, and Jimmy Macbride is in charge of the drums. “The Silent One” is the second theme of Hear & Now that marks the musical tendency of this album, a heartfelt sonority where the long notes are the protagonists of this work. In this track Nick Finzer shows his virtuosity by playing (as a game) with the features of each note interpreted; he goes to the limits, as if on purpose, of the pitches of the notes to create that bluesy sound and that particular melancholic tone in his style. 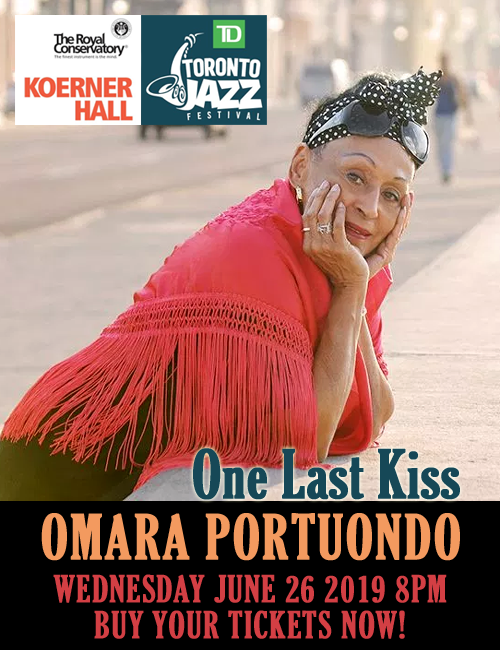 “Single Petal of a Rose” is the only song that was not composed by Finzer, but with his interpretation, he pays tribute to the Duke of Jazz, Edward Kennedy Ellington. The young trombonist starts this track, with sad and delicate trombone lines, where he plays with the mute technic, giving extra feeling to the piece and creating a pure melancholic atmosphere. Seconds later, the bass clarinet appears, like a whisper, soft and almost shy; a little child who wants to play with his older brother. Long and deep low notes appear suddenly from the bass and piano to embrace the celebration of feeling. Poetry could be the word I can use to describe the interpretation of Mr. Finzer and his band in this track. Perhaps the best composition on this album is “New Beginnings”, a unique piece where the role of each instrument reaches an inexplicable symbiosis that turns into a love anthem. The arrangement for piano is brilliant; smooth repetitions of a couple of notes reinforce the melody and the introduction for the solos of other musicians, particularly in this song, Mr. Finzer has left his soul in every improvisation, daring to take each listener to a heavenly level. A tremendous, sincere and exceptional album is what Nick Finzer has created for jazz lovers. Any complex, imaginative or inventive word (we can use to talk about this work) will not be enough to describe the essence of it. Tracks: 1. We the People, 2. The Silent One, 3. Single Petal of a Rose, 4. Again and Again, 5. Race to the Bottom, 6. New Beginnings, 7. Lullaby for an Old Friend, 8. Dance of Persistence, 9. Love Wins. Personnel: Nick Finzer: trombone; Lucas Pino: tenor sax & bass clarinet; Alex Wintz: guitar; Glenn Zaleski: piano; Dave Baron: bass; Jimmy Macbride: drums.